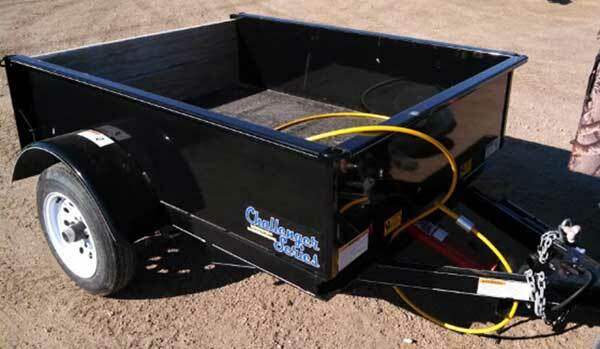 firewood, gravel, dirt, or mulch, this trailer will get the job done. 3-ton manual jack gives you the ability to control the flow of the tilt as well as allows you to have your load positioned anywhere on the trailer. Solid steel shaft pivot at the rear of the trailer lets the box tip at enough of an angle that nothing gets left behind. Weighing in at 516 lbs, this trailer can handle a 1,000 lb payload. Standard with enclosed wiring and LED lights, making it legal for pulling up and down the road. For more information about this trailer, please contact us.